What better way to boost a teenager’s confidence than with a photoshoot that makes them the star. Despite how we felt when we were younger, there are only a few years of teen-dom to cherish before becoming an adult and leaving the nest. A photoshoot is a great time for your tween or teen to express themselves and allow their character to shine while capturing photos to treasure for a lifetime. Everyone is unique and we will draw on the things that make your teenager who they are and create a lasting memory to look back on. 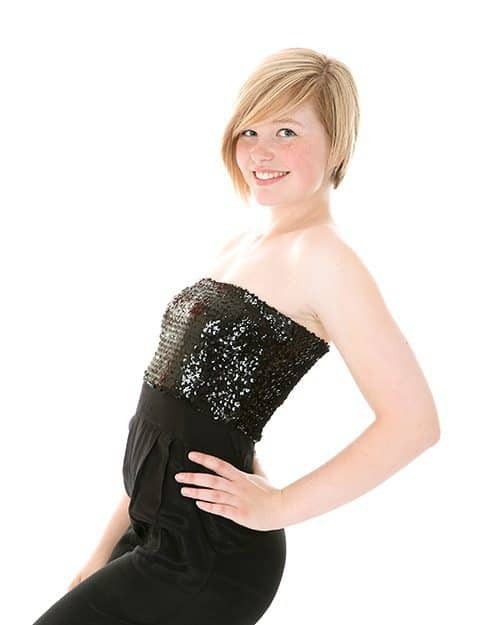 All our ‘Beautiful You’ tween/teen photography photoshoots take place in the larger of the two photography studios here at Enchanted Photography. The studio room is the most versatile, designed in a L shape with a curved white wall for contemporary and modern style images and an array of designed walls to suit your photo ideas and home decor including a faux white brick wall as well seamless colours. A wide range of posing stools, chairs and props allow me to tailor your images to suit your preferred style. Within the 1,500 sq ft studio premises there is also a separate changing room with full length mirror plus a kitchen area for teas, coffees and snacks. There is parking directly outside for your convenience. Great portrait photography should capture the true character of your teenager, and never be generic. I’d love to get your tween/teen involved in designing their very own photoshoot to include their hobbies and interests whether they’re quirky and edgy, or serene and pretty to make it completely unique to them. Planning in advance what styles we will achieve will help me prepare the backgrounds to suit your teenages outfit choices and where all of the best images will be displayed in your home after their photoshoot. In our main photo studio your teenager becomes the star! We’ll work though a number of natural and fashionable looks and poses to create an amazing portfolio of images. Strike a pose in front of a white background or choose from a selection of different coloured and textured backgrounds for something a little different. From jumping to pouting, posing to body painting and even anime costumes, the photo shoot will be as unique and individual as your child. For the duration of the session your tween/teen will have exclusive use of the spacious dressing room for quick outfit changes and hair and makeup touch ups, as they return with a new look ready for the camera. After your photoshoot, I will work through each image individually, taking the very best for you to review. With my complimentary image retouching service I will remove any teenage blemishes and make the colour of your images POP to make them look good on the screen as well as in print. Just one week later, you will be welcomed back to the photo studio where we’ll all take a seat in the comfy viewing room and take a look at a slideshow full of your images from the photoshoot. All sessions include digital images which no doubt your child will want for their social media and mobile photo, whilst a selection of high quality wall art and printed products are avaialable for your home, often marking the last professional images taken of your child before they become an adult. To book a Tweens & Teens photoshoot there is a £25 booking fee as detailed in the grid below. Large on site changing room with full length mirror so we can get a selection of images of you in two/three different outfits. I have just collected some amazing photos of my daughter From Gemma and we are totally thrilled. In the past year my daughter has had a photograph party and a personal session at Enchanted Photography. The prints are of high quality and we are very tempted now to get a canvas print. My daughter is fairly shy but Gemma managed to make her feel comfortable and as a result had a fun session and lovely photos and already she is planning her next party here. I know many other people who had parties and photoshoots and all are very pleased with the service and photos. Thank you Gemma ! Often booked as a treat for good school work or for a birthday, the photography studio offers everything to make the experience special from a huge photography studio room with professional lighting and lots of props to a large private changing room. The experience climaxes in a cinematic style viewing session to make your tween/teen feel oh so special. There are no hinderances to you having the high resolution, edited digital images from your photoshoot. I understand the young generations of today want to showcase and enjoy their photos on social media and mobile devices like their ipads and mobile phones and these are simply perfect for that. Tweens and teens can often wake up with untimely blemishes, or have scratches and bruises from boisturous encounters. Don’t worry. It doesn’t matter if there is an odd spot or patch of acne or bruise on the day. I offer a complimentary retouching service with your photoshoot for perfect photos you’ll love to show off. Whilst the young generations are often said to be very camera confident with all their selfies, negative body image still remains a huge issue with young teens. Choosing a favourite image to have on a long lasting wall art piece and displaying it large in your home is a reminder to them that they are perfect, just the way they are.